Which Window Coverings Do I Need? You may be surprised to learn how much the window coverings you select for your home send a message to neighbors, visitors and future buyers about the property. With these tips, you can select the right window treatments for your design goals. As any wise homeowner knows, the windows are a place of high energy inefficiency. The windows themselves have comparatively little insulation, especially if they are older or low-end in quality. Window coverings can beef up the energy efficiency of the entire room, depending on what you pick. 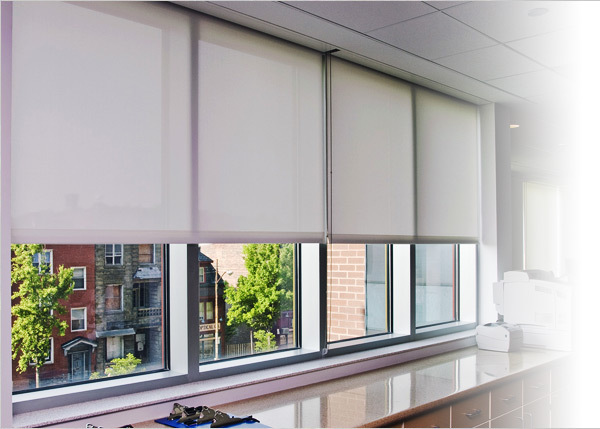 Cellular shades are among the best treatments to decrease heat gain in the summer and discourage uncomfortable drafts in winter. For larger windows, consider also adding draperies. Drapes add a pleasing design to the home, and they are also efficient at blocking the sun’s rays or the winter chill. Improving efficiency is great for those looking to optimize their overall budget when purchasing/owning a home. Although trying to manage the light exposure in your home may seem like an entirely aesthetic feature, it is also a practical one. Certain types of fabrics in your furniture, as well as your flooring, could be bleached by too much sun. Take advantage of roller shades for a quick way to adjust the lighting in a room. For maximum flexibility, think about adding more than one type of window treatment. For example, a roller shade with blinds and draperies can block a great deal of light, but still look good on the window. To encourage more natural light in certain rooms, solar shades offer a convenient choice that helps to minimize glare. When you are searching for a new home, you know that windows with no privacy from the neighbors are a big disadvantage. You can send a different message by thinking about the spaces that need privacy most, and tailoring your window coverings accordingly. For bedrooms and the general living areas, wood or faux wood mini blinds close fully and provide the room with complete privacy. However, these might not be ideal for a humid room like the bathroom. For bathing spaces, consider sheer blinds, cellular shades installed halfway up, or panel track blinds. These options allow you to maximize natural light without providing your neighbors with an unnecessary view. Of course, your window treatments should also reflect your home’s unique style. Although any window covering could make your home beautiful, for a timeless look, you might go for plantation shutters. Shutters tend to be on the more expensive end of window treatments, but they offer convenience and beauty that many believe is unrivaled. Custom-built shutters make a perfect fit to the window, and you can select many different options to further customize the look. Choose the width of the louvers and how they are opened and closed, as well as the orientation of the shutters in relation to the window. As well as making your home appear more upscale, plantation shutters provide some additional insulation, and are safe for children. Stand outside your home, and ask yourself what kind of message you want to send to others as they walk by. Your window coverings reveal more about your home than you think. By tailoring your window treatments to your overall design goals, you can convey the right attitude about the entire space. It is shocking how much window coverings can change the look of your home. These tips help you make your home appear fresh and efficient, no matter who sees it.